Yes, it wasn't BA was it? Anorak log has just the reg not the owner. Officially (using G-INFO) it went from European to Air Atlanta on 7/12/04 so it could have been theirs. Now on display at Dunsfold. Many thanks for all that information. The Man U charter I was thinking about occurred on 26-27 May 1999. 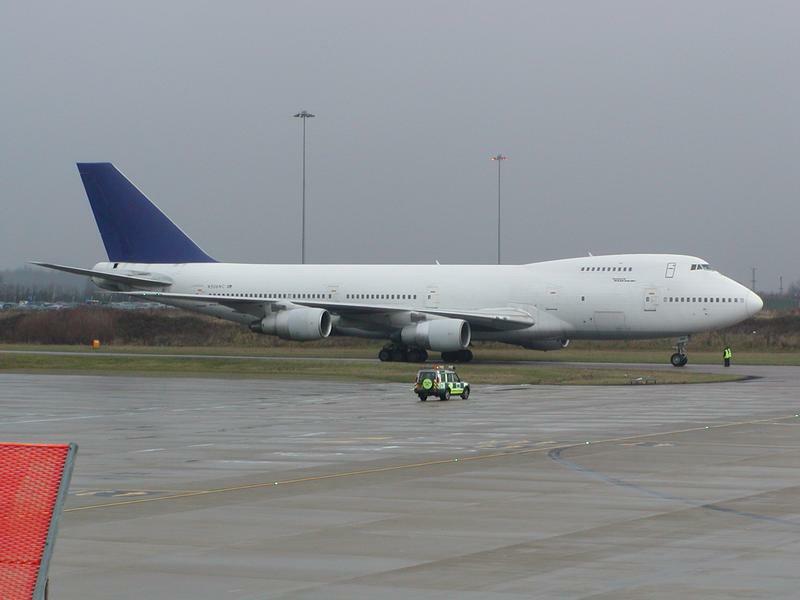 I was just arriving at the airport about 8am when a 747 was just coming over the 08 threshold. I believe it was Air Atlanta but I do not think it had any titles. compton3bravo you are correct (almost..) it was Corsair again on 26/5/99, F-GPJM, parked nose out I think on stand 20. 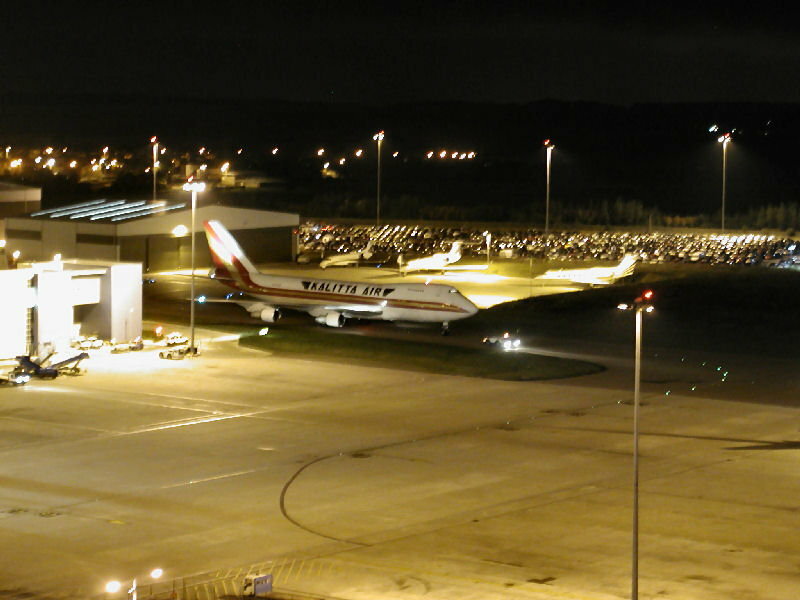 It also operated on 17/5/00 along with a -300 series (stretched upper deck) F-GSUN. Is the final image above something other than an Ambassador? 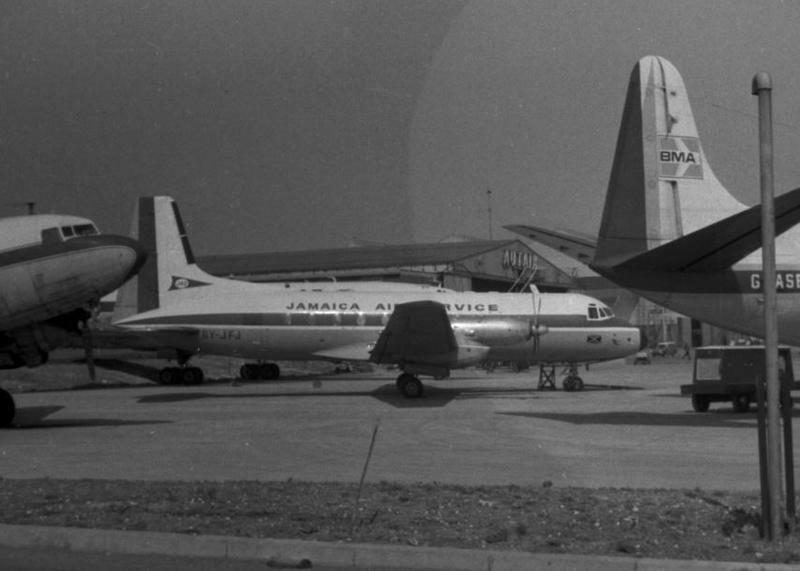 The wreck appears to have a leading edge de-icing boot which was not the case with the Ambassador. Yes and the undercarriage door is not that of an Ambassador. Also the fuselage cheat lines on the first two are not on the last. I think the last shot is an L-749 Connie. i think I've seen that picture before somewhere. 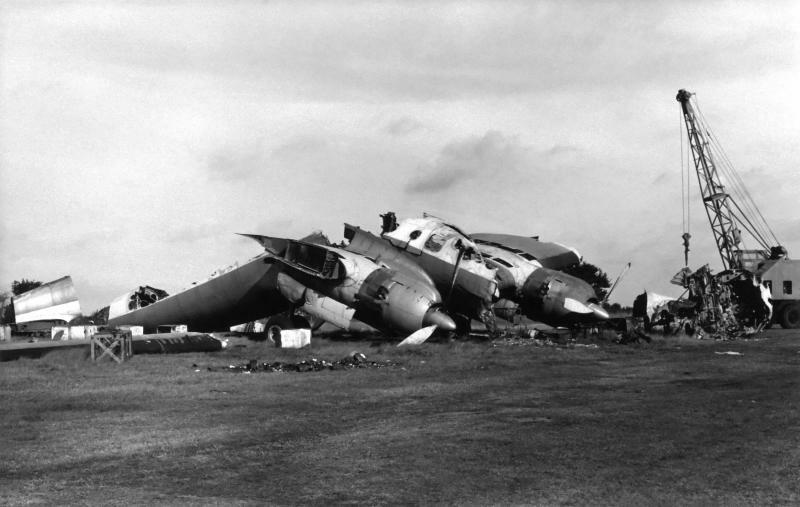 i think it is one of ACE Freighters that was killed by arson at Coventry, shortly after they went bust. P.S. Does anyone know ACE Freighters two letter designator? Coventry c 1972. 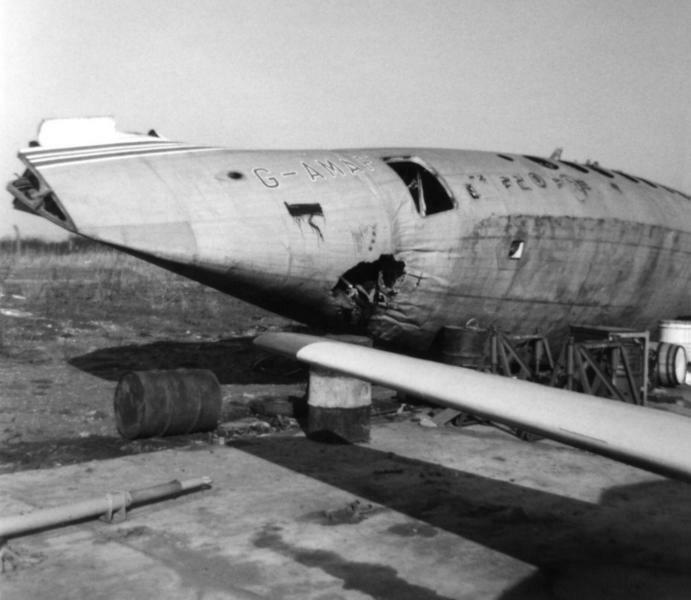 Lockheed Constellation G-ANTF after an alleged arson fire. 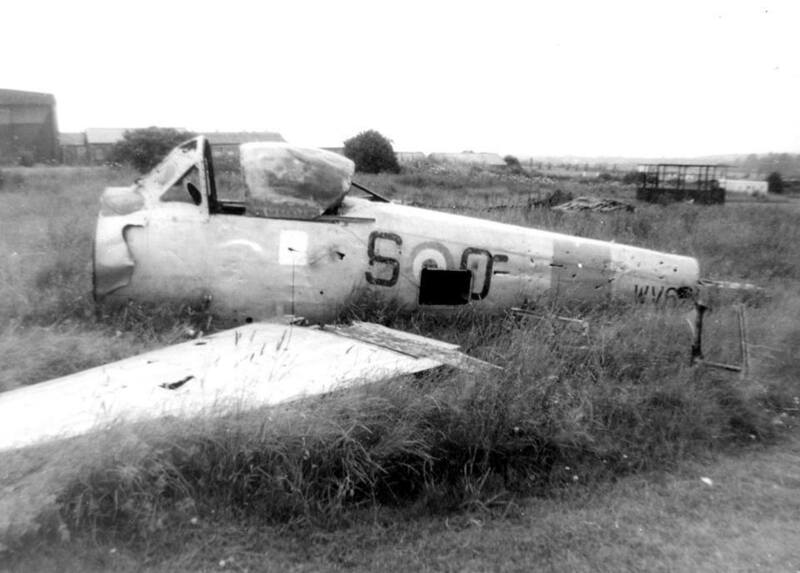 Your Percival Provost is almost certainly WV624 which dived into the ground after take-off from Cranfield 30.12.57 killing the US Navy pilot on board. It is thought the instrument panel became loose. 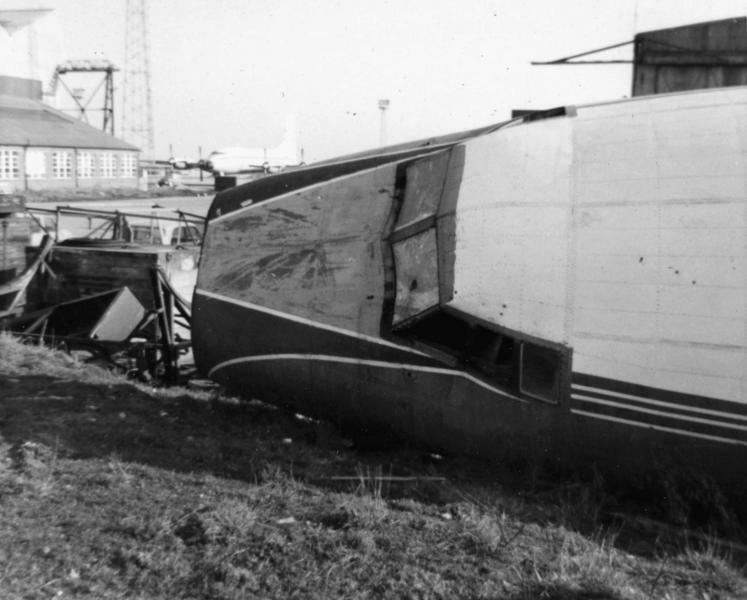 The wreckage was recovered to Luton and lain around the side of the helicopter blister hangar for some time although it was gone by the early 60s when I started taking an interested. That is Wigmore Hall Farm in the background. The above accident was caused IIRC by the Provost hinging instrument panel swinging open and locking the stick back, causing a stall after take-off.Haraka senior was on the enquiry. 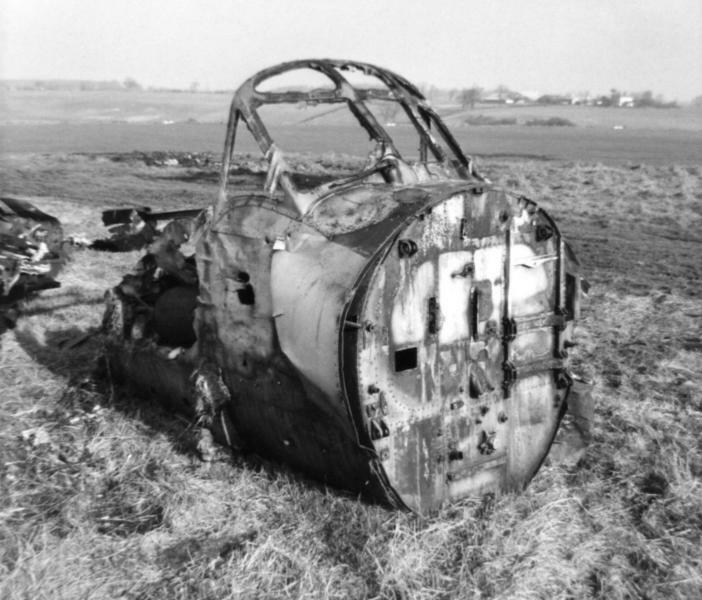 Seems remarkably intact for an aircraft that dived into the ground. Some old great shots of Luton airport coming on television soon on talking pictures channel 328 the film vendetta for the Saint . Leased in ROMBAC 1-11'S built under license in Bucharest. Irish CAA allowed a permit under 'no objection' rules. France permitted their flights ut not sure if the UK refused them. Am willing to be corrected. 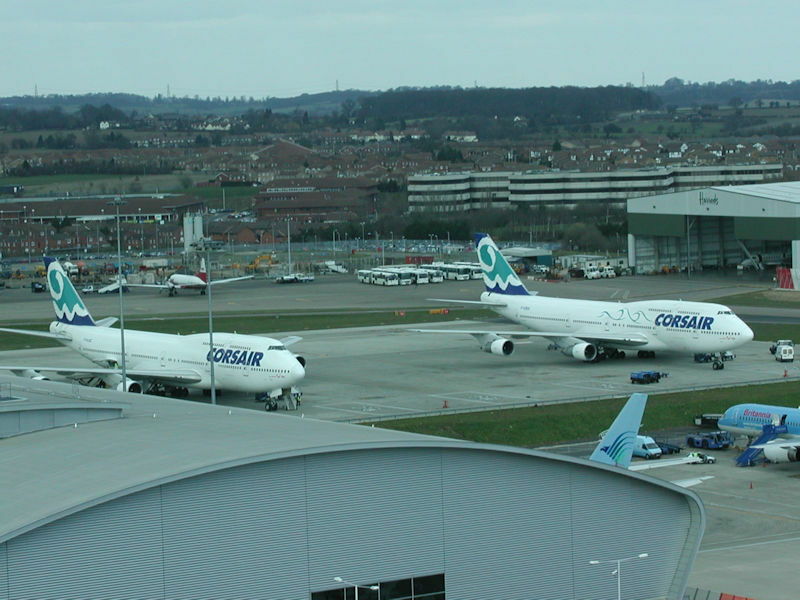 I am assuming the 748 has a link to Autair?